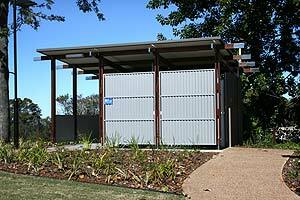 Located on Burnett Street, the park was originally sponsored by the Buderim Lions Club, but has been heavily reworked from the original traveller’s-rest style car park that it once was! 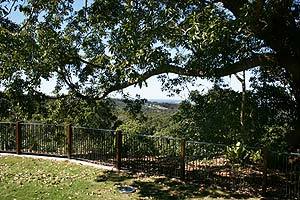 The Park is still know as Buderim Lions Park and offers spectacular south-facing views of the Sunshine Coast and the hinterland. 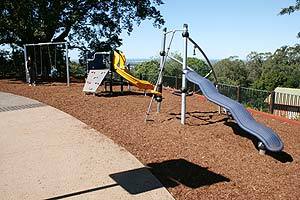 The Lions Park in Buderim is the perfect place to have a picnic, a play or a simple a break from the business of town. Benches offer a great spot to have morning tea or lunch while you watch the big ships go to and from the busy Port of Brisbane. 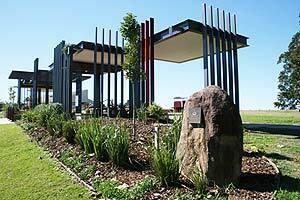 The Lions Park features a great playground for the kids, a toilet block and a barbecue area for all to enjoy. Somebody designed it with the picnic and BBQ areas by the road, but it is still a great little park. 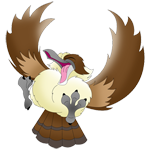 There is not a huge amount of shade so you will need to slip, slop slap to avoid sunburn in the middle of hot Summer days. This park has always been a favourite of tourists and locals alike, especially when the Bruce Highway ran straight through Tanawha, making Buderim an ideal spot to stop for some morning tea while on the road. Pop into the Lions Park and take your camera, you will not be disappointed.